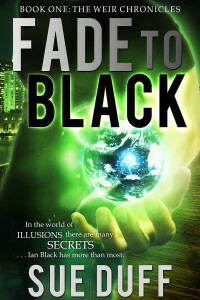 Ian Black is an illusionist with a talent for keeping secrets. College student Rayne Bevan has a gift for uncovering them. She suspects the popular performer’s skills extend beyond the stage and that he’s the area’s mysterious and elusive defender of the innocent. In her efforts to uncover the truth, site she is swept into a hidden world of the Weir, a magical race who struggle to prevent Earth from self-destructing. Her inquiries expose Ian to those who would kill for his connection to the planet, find and as he fights to keep Rayne safe, they discover a force behind the Weir’s raging civil war – a traitor bent on launching Earth’s Armageddon. 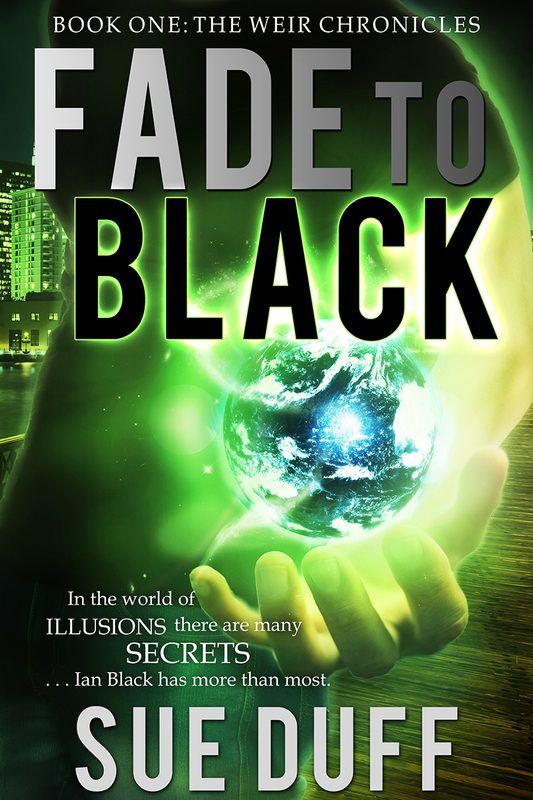 Read the latest chapters from the novel, available on Wattpad @ http://www.wattpad.com/62672064-fade-to-black-book-one-the-weir-chronicles-chapter or pick up a copy anywhere books are sold! ISBN # 978-0-9905628-0-1 for paperback and ISBN # 978-0-9905628-1-8 for hardback. Happy Reading!